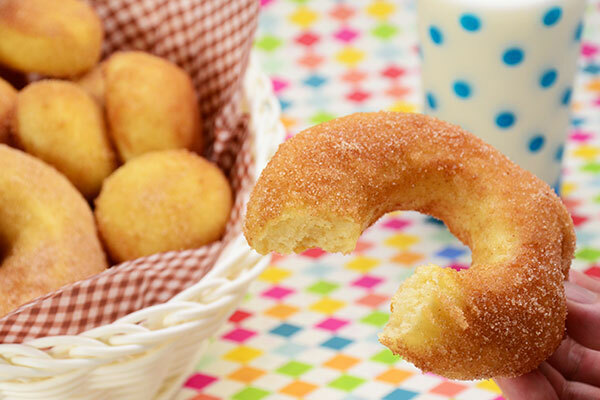 A donut that looks and tastes like a deep-fried donut, but baked! They’re fluffy because they’re raised (thank you yeast), but not greasy because they’re baked. Curious? Don’t over-bake the donuts, though, the texture is better when they’re white on the outside but baked through on the inside. *You will need 2 baking pans (approx. 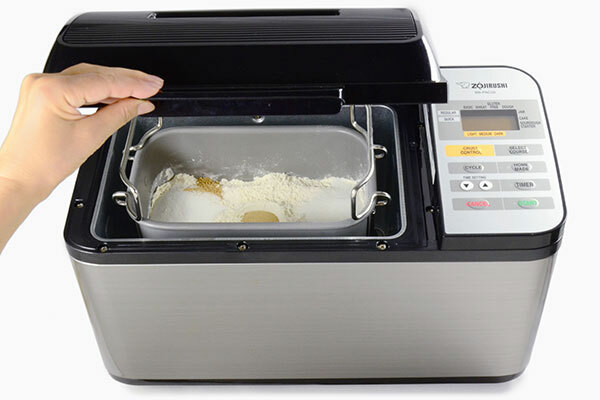 14-1/2” x 11” x 2”), a 3” donut or biscuit cutter and a spray bottle with water. *You will need a baking pan (approx. 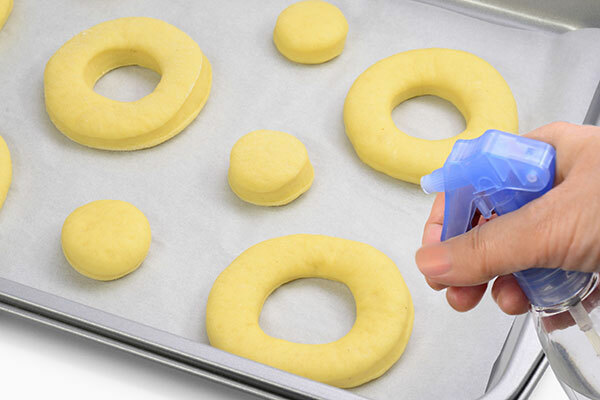 14-1/2” x 11” x 2”), a 3” donut or biscuit cutter and a spray bottle with water. Make sure the kneading blade(s) are properly attached. 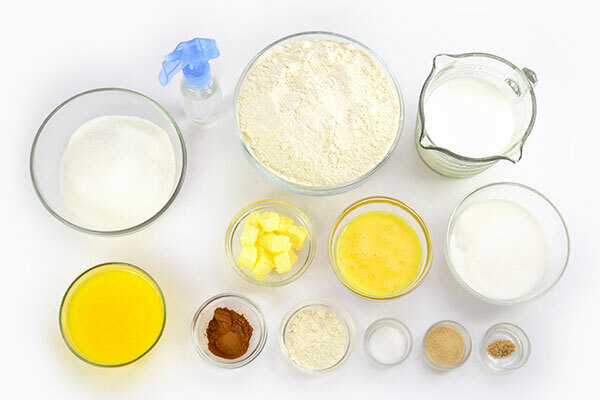 Add the Dough ingredients to the baking pan in the order listed, and prepare the dough (use REGULAR DOUGH for BB-PAC20, BASIC DOUGH for BB-CEC20, and DOUGH for BB-HAC10). 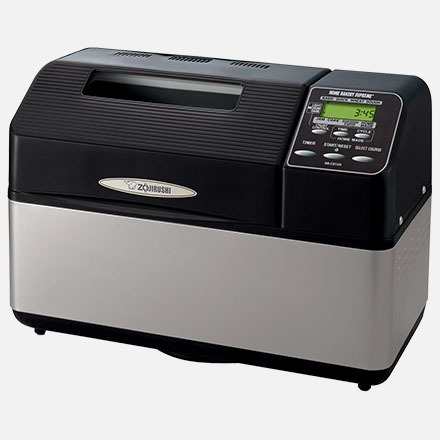 For BB-PAC20/BB-CEC20 models, when the add beeps sound, use a rubber spatula to push down flour that may be stuck to the side. Please be careful if the kneading blades are moving. 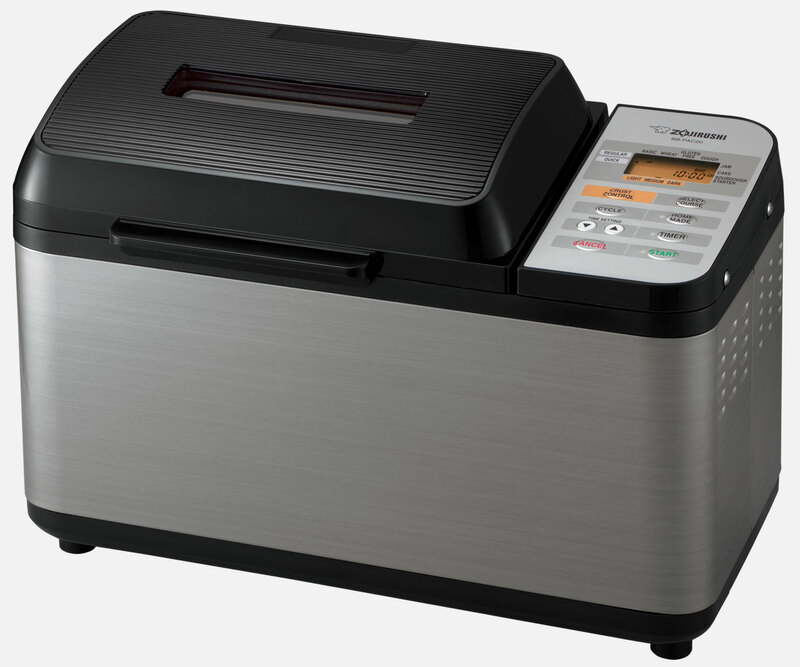 When the DOUGH course completes, press CANCEL for BB-PAC20/BB-CEC20 models and START/RESET for BB-HAC10 model. Remove the dough from the baking pan onto a lightly dusted board and roll into a 1/3” thick sheet. 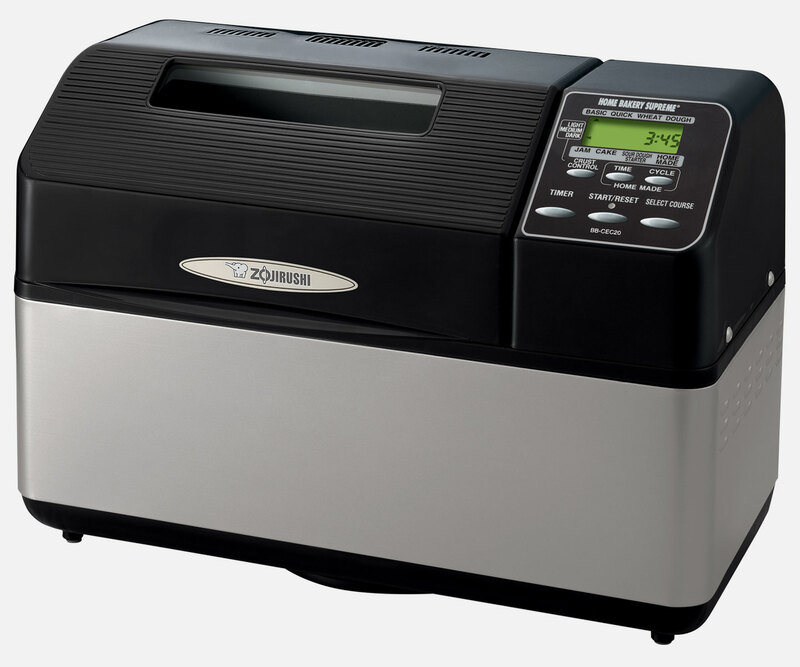 For BB-PAC20/BB-CEC20 models, cut out 28 donuts (and holes) using the donut cutter. 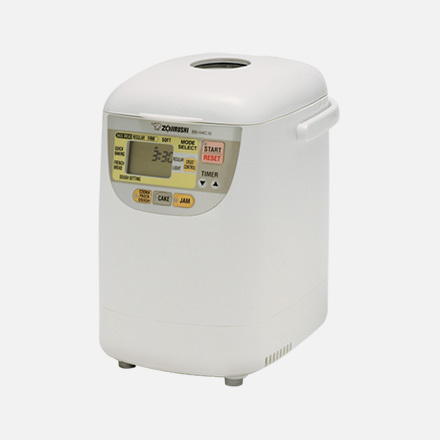 For BB-HAC10 model, cut out 14. 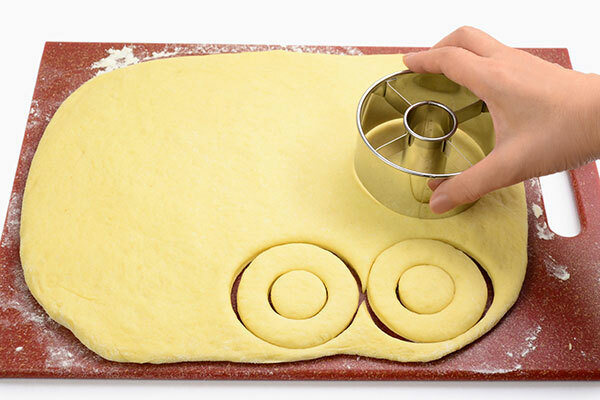 If using a biscuit cutter, cut 1-1/2 inch holes at the center of each round using a bottle cap. 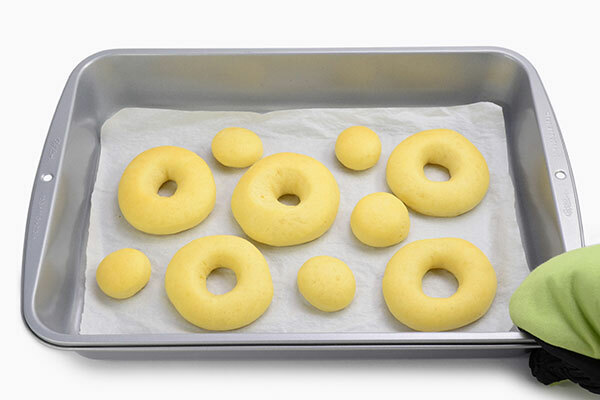 Place 14 donuts and holes on a baking sheet (with at least 2” height) lined with parchment paper, leaving enough space to double in size. 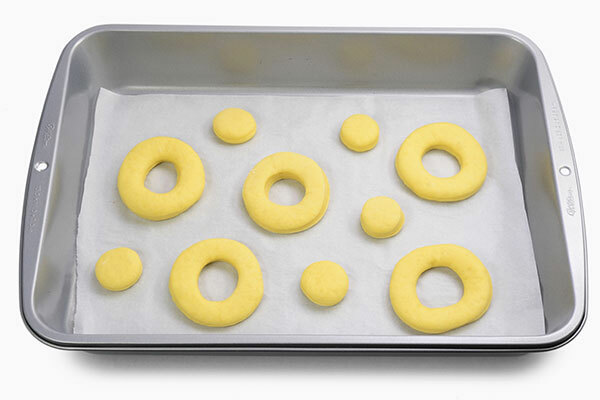 For BB-PAC20/BB-CEC20 models, if baking all 28 at once, place the rest of the donuts and holes on another baking sheet. 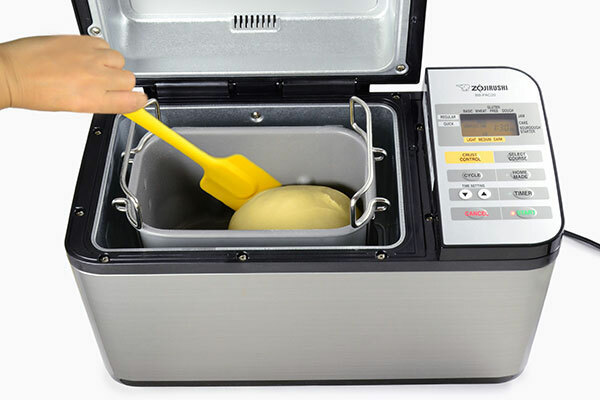 Lightly spray water on dough and allow to rise at 86-95°F for 30 minutes, or until size doubles. 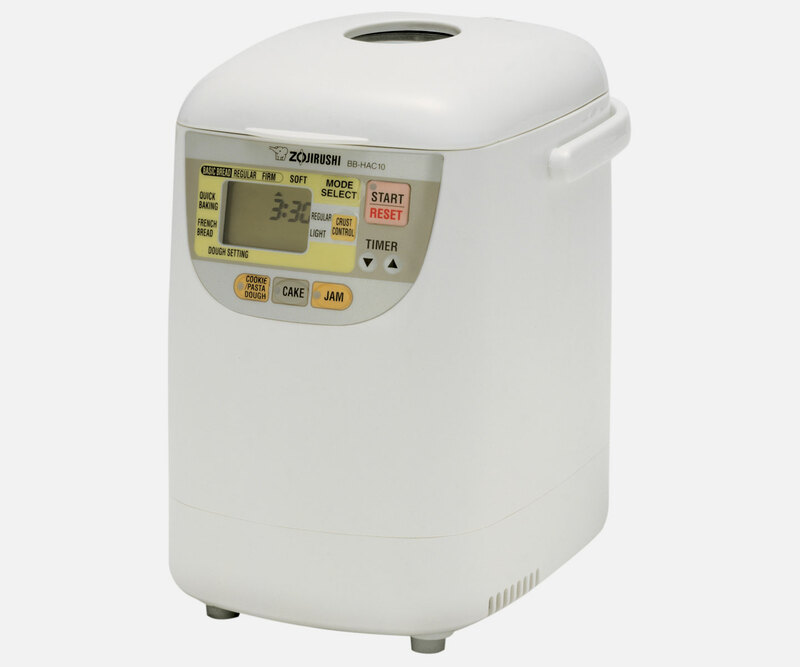 Spray water often to keep dough moist. Preheat oven to 400°F. Lightly spray water on donuts once more and place pan on the center rack. 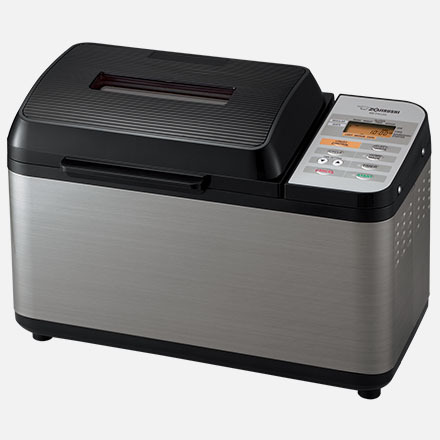 Reduce heat to 250°F and bake for 15 minutes, without allowing donuts to color. 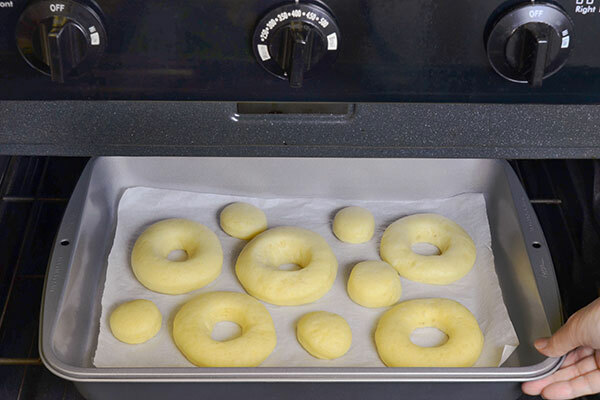 If baking 28 donuts at once, place the second baking pan on the bottom rack and bake for about 23 minutes. Baking times may vary. 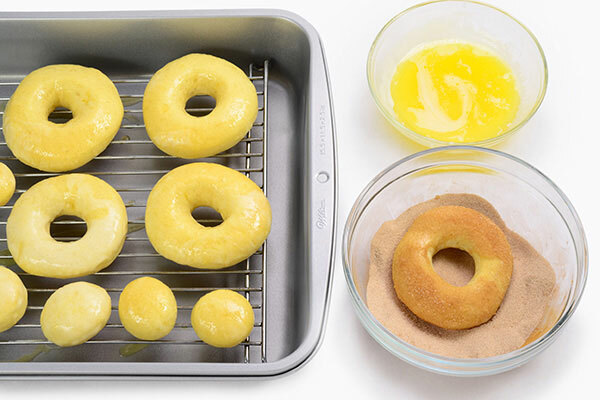 Add 2-3 minutes of baking time if unbaked, but the texture is better if the donuts do not brown. Remove from oven and let donuts rest for 5 minutes. 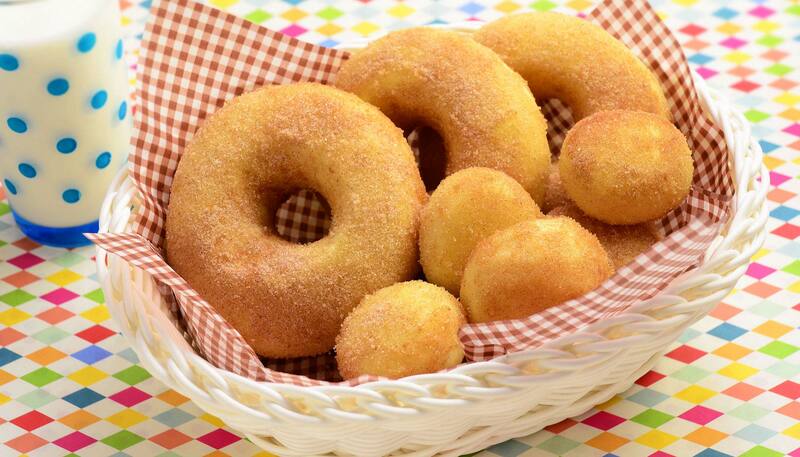 While donuts rest, mix sugar and cinnamon in a large bowl. In a separate bowl, melt butter for coating. Dip donut in melted butter, and place on a rack to drain off excess. 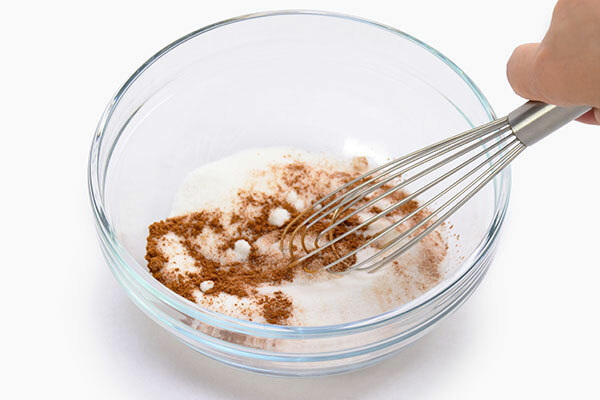 Coat with cinnamon mixture. Serve while hot.